KISS and Def Leppard are calling a press conference for March 17 in Los Angeles to make a “major announcement.” Though there’s no official word, a source close to one of the bands tells ABC News Radio that KISS and Def Leppard are planning a summer co-headlining tour, set to kick off in late June and go through the very end of August. Though it’s being billed as a co-headlining tour, the source tells ABC News Radio that KISS will be the closing band on all dates. There is speculation that the tour could extend internationally, but as of now only U.S. dates are set. 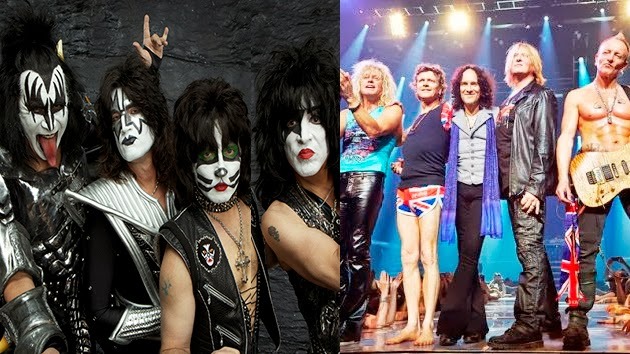 KISS and Def Leppard have combined album sales of more than 200 million.